CarRentals is a small but rapidly growing company within the Expedia Inc portfolio and the premier car rental booking company on the web. CarRentals powers three different brands across multiple points of sale on a single common platform, bringing suppliers and customers together to find the right car and the best price. CarRentals offers a great opportunity to work in a startup-like environment backed by the resources, benefits, and network of a large, multi-national online e-commerce company. You are passionate about solving customer problems, including curiosity about how things work today and passion for making them better. You have strong coding skills. 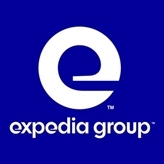 Senior Software Engineer at Expedia, Inc.